TIM GAJSER RINNOVA CON HONDA PER 5 ANNI! Scritto sabato 1 Agosto 2015 alle 15:28. 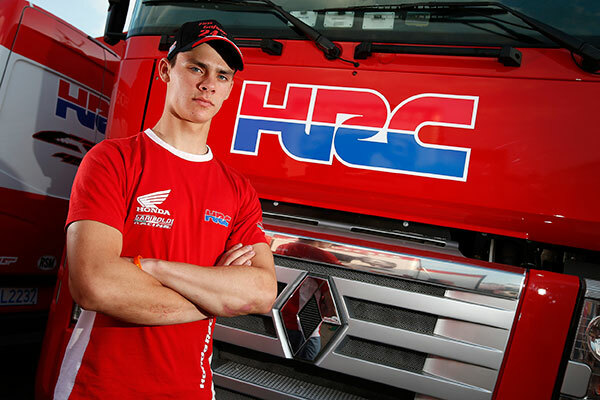 Honda Racing Corporation e Tim Gajser, il 18-year-old MX2 stella slovena, hanno firmato un accordo pluriennale che vedrà Gajser rimanere con la Honda fino ad almeno il 2020. Già sotto contratto fino alla fine del 2016, il nuovo accordo garantirà che la partnership sempre più di successo tra Gajser e Honda Racing Corporation continuerà per almeno altri cinque stagioni. Uno delle più calde prospettive per il 2015 MX2 Campionato del Mondo, Gajser ha iniziato a guidare per il team Honda Gariboldi Racing nel 2014. Nello stesso anno ha firmato il suo primo accordo con HRC e ha sostenuto sei podi Grand Prix. La sua prima vittoria in un Gran Premio è venuto al GP di Pietramurata nel mese di aprile 2015, e da allora è stato seguito da altri tre trionfi che lo hanno catapultato nella lotta per il titolo mondiale. 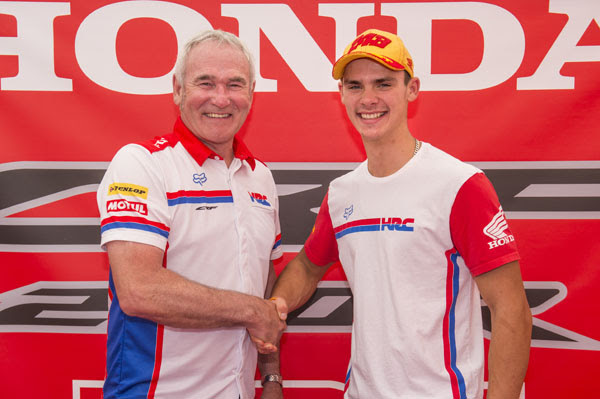 Honda Racing Corporation and Tim Gajser, the 18-year-old Slovenian MX2 star, have signed a multi-year agreement that will see Gajser stay with Honda until at least 2020. Already under contract until the end of 2016, the new agreement will ensure that the increasingly successful partnership between Gajser and Honda Racing Corporation will continue for at least another five seasons. One of the hottest prospects for the 2015 MX2 World Championship crown, Gajser started riding for the Honda Gariboldi Racing team in 2014. That same year he signed his first HRC agreement and claimed six Grand Prix podiums. His first Grand Prix victory came at the MXGP of Pietramurata in April 2015, and has since been followed by a further three triumphs which have catapulted him into the fight for the World Championship title.